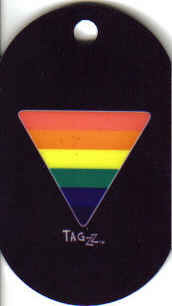 Rainbow, Leather & PrideID Exclusives! 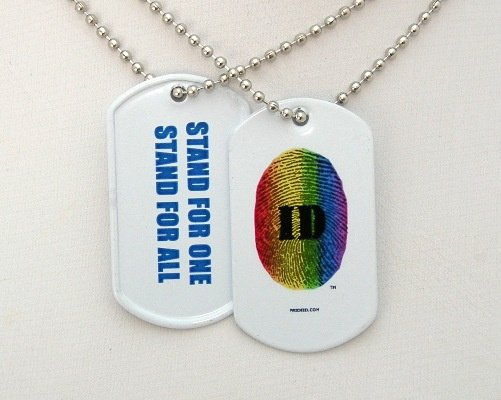 Featuring PrideID Exclusive Dog Tags, as well as Rainbow, Leather and other Pride Themes. 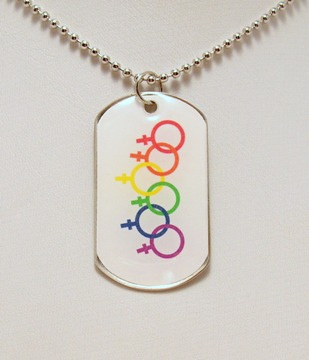 We are currently adding a new selection of PrideID Exclusives. As we are test marketing new graphics, we'd love to hear your input! As we are the fabricatiors, we can design to your requests. 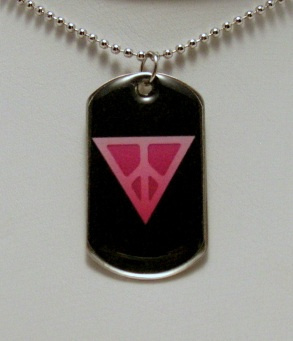 Have an idea you'd like to see on a dog tag? 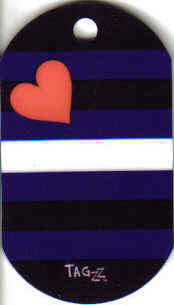 Email us with your suggestions at info@PrideID.com, and you just might see it right here! 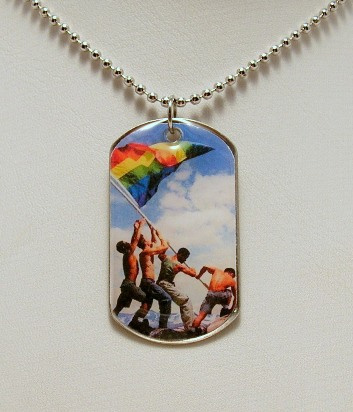 Did you know that we can put your photo on a dog tag? 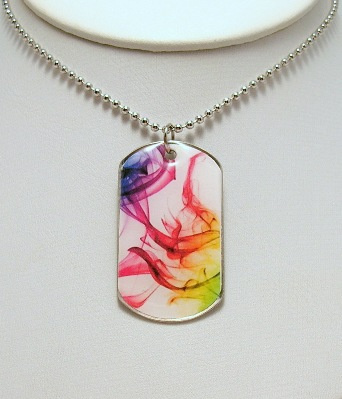 Email us a JPEG or GIF file of your favorite photo and we can transform it into a wearable piece of jewelry! A 24 inch ball chain necklace is included, and turn around time is 1 week or less. Your cost- only $10!